Jordan Family Dentistry is truly a family practice with father-son dentists. Andrew Jordan, Jr., whose father was also a dentist, has 50 years of extensive dentistry experience. Dr. Jordan earned his Bachelor of Science from Texas University in 1960, and his Doctor of Dental Surgery degree from the Baylor College of Dentistry in 1964. In 1991, he completed the highest degree offered by the American Academy of General Dentistry, (The Mastership Program) the M.A.G.D. Dr. Jordan has over 4,000 accredited post-graduate Continuing Education hours in the field of general dentistry. 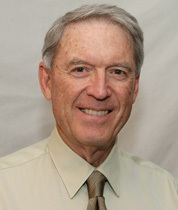 Dr. Jordan was appointed to the Texas Dental Association Board of Directors and served from 1995 to 1998. He was nominated by the Texas Academy of General Dentistry for the Texas Dentist of the Year Award in 1999, and has served as President of the East Texas DENTAL Society, The Arkansas, Louisiana, Texas Dental Congress, and the Southwest Prosthodontist Society. He has also earned fellowships in the American Academy of General Dentistry, The American College of Dentistry, and the Academy of Dentistry International. Most recently, he has been named by Texas Monthly Magazine as being in the top 5% of Texas Dentists in the Field of General Dentistry. He has held this honor from the years of 2004 through 2013. Dr. Jordan is also a charter member of Seadent. This organization serves dentistry on cruise ship ventures (Holland American Cruise Ships). Dr. Jordan has also been a dental consultant for a dental materials manufacturing company (Sterngold). Dr. Jordan resides in Lufkin, TX, with his wife, Arline. He has 4 adult children and 4 wonderful grandchildren. In his spare time, he enjoys golfing and fly fishing, mostly in Montana, Idaho, Colorado, and New Mexico, and hunting quail and dove. He loves spending time with his grandchildren in all their different activities. Dr. Jordan is a member of First United Methodist Church where he has served on numerous committees as well as teaching Sunday School. It was a given that Dr. Jordan would become a dentist. With both a grandfather and a father who were dentists, and a mother who was a dental hygienist, he followed in his family's footsteps. Armed with a D.D.S. degree from Baylor College of Dentistry, Dr. Jordan began practicing in Lufkin in 1993. Dr. Jordan is involved in an International Team for Implantology study club, which allows him to keep well-informed of the latest implant dentistry news and developments. He has been active in the East Texas Dental Society and is enrolled in the fellowship program at the American Academy of General Dentistry. Dr. Jordan is a former Board member at St. Cyprian’s Episcopal School and the Boys and Girls Club of Lufkin, Sheep Fold Ministry. He mentors in the TURN program at the Lufkin Middle school tutoring math and science. He is involved in the Lufkin Independent School Board as a member of the Tri-Ethnic Committee, and also volunteers with the Emmaus community. In addition, he is a member of the Texas Dental Association, East Texas Dental Association, American Dental Association, Piney Woods Dental Study Club and the American Academy of General Dentistry. Dr. Jordan was recently appointed to the American College of Dentists, mentors dentists for CEREC, and has completed levels 3-6 at the Scottsdale Center of Dentistry. Dr. Arthur Jordan and his wife Emily have been happily married since 1996. They have two children, a daughter Reagan and a son, Seth. 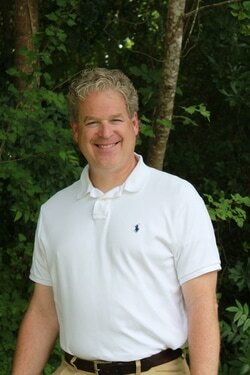 Dr. Jordan enjoys watching his daughter play softball and run track, as well as, golfing with his son. Dr. Kyle King, son of Mary and Ronnie King, is a native of Lufkin, Texas. Dr. King is a 2007 graduate of Lufkin High School, and graduated from Texas A&M University in 2011 with a Bachelor’s of Science in Biology with a minor in Business Administration. During his tenure at Texas A&M, he served as a Fish Camp Counselor, mentoring incoming students to Texas A&M, Maroon Out Finance Director, a member of student council, and a men’s service and leadership organization. Dr. King attended the University of Texas Health Science Center School of Dentistry in San Antonio and graduated in May of 2015. Dr. King served as Class President during all four years of Dental School. In addition, he was one of two students selected to represent the University of Texas Health Science Center at San Antonio at the UT System level during 2012-2013 scholastic year. He served on the UT Student Advisory Council, assisting in drafting resolutions and institutional policies for all UT System campuses. Dr. King was an active member of the American Student Dental Association, the Christian Medical and Dental Association, and the Xi Psi Phi (ZIPS) International Dental Fraternity. In April 2014, Dr. King was selected as the UT School of Dentistry Ambassador Scholar for the 2014-2015 year representing the dental school at various functions and fundraising events throughout the year. In May 2015, Dr. King received the Robert A. Dale Award for “unflagging spirit, unswerving perseverance, unfailing attitude, and conscientious patient care,” and the Outstanding Student Leader Award from the American College of Dentists. Dr. King is an Eagle Scout and Order of the Arrow member, and enjoys playing golf in his spare time. He is an avid hunter and outdoorsman and likes to spend time at the family farm and West Texas deer lease. Dr. King has one sister, Kendall, who resides in Houston, Texas and works in the finance industry. Dr. King has traveled to Mexico, and numerous border cities in conjunction with the Christian Medical and Dental Association on dental mission trips.